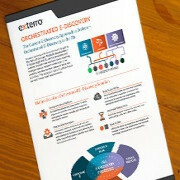 The Exterro Orchestrated E-Discovery Suite is a natively-built cloud-based solution that delivers everything you need to quickly and easily meet the needs of your unique client matters. 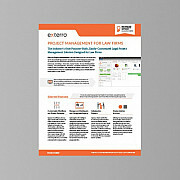 Flexible, matter-based pricing and modular product functionality enable you to focus on all or part of the e-discovery process, including properly closing and returning/disposing client data. 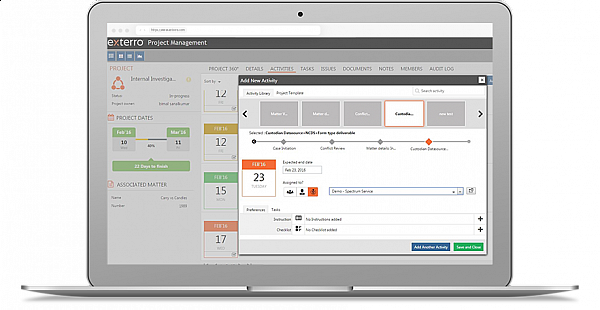 From onboarding a client and initiating a new matter project, Exterro’s software enables you to orchestrate your e-discovery processes, giving you greater control, predictability, productivity and client satisfaction. 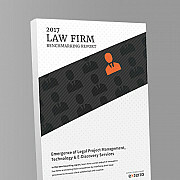 Exterro Project Management for Law Firms is the only purpose-built, easily customized legal project management system designed specifically to orchestrate the workflows and activities associated with legal processes, including e-discovery, matter intake, witness ID/deposition tracking, case management, and more. It ensures consistency, provides visibility into all projects, and improves efficiency, cost control, and communication across all stakeholders, enabling you to reliably manage resource workloads and deliver more value to your clients.